When building a project bike, there is an obvious need for certain small parts. Oil pumps, fuel petcocks and hard or soft tubings must be used. To find the correct items for your bike, a period catalog will often give better info than looking at bikes while on a ride or at show. And the detailed, section views will teach inquiring minds just how these items work, where seals belong, how to service items, etc. 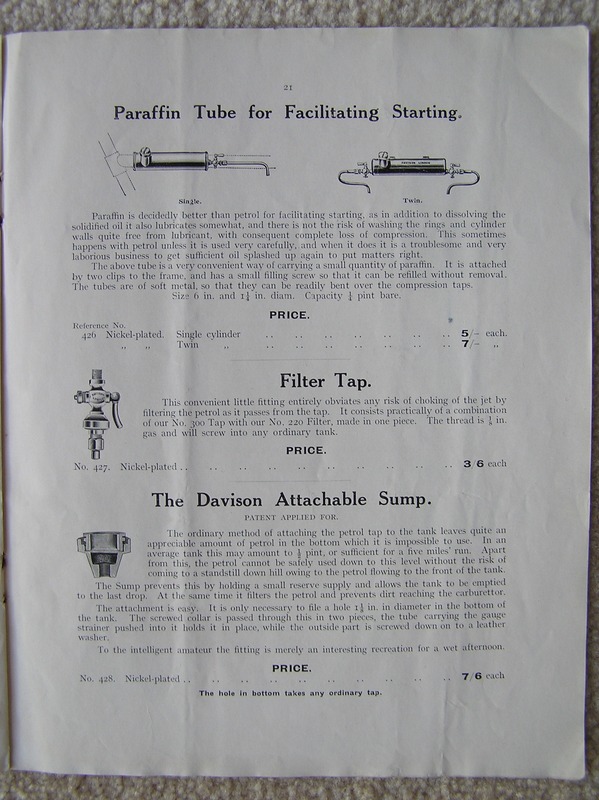 This is one page of 37 from the 1916 Davison catalog. The catalog was kindly scanned and posted by Howard Burrows, and is shared here on his Flicker page. Sharp eyed readers will recognize the sight glass shown on several pages that I reproduced for the ‘13 Veloce project based on the catalog and some sketches from friends located a few thousand miles from my home workshop. 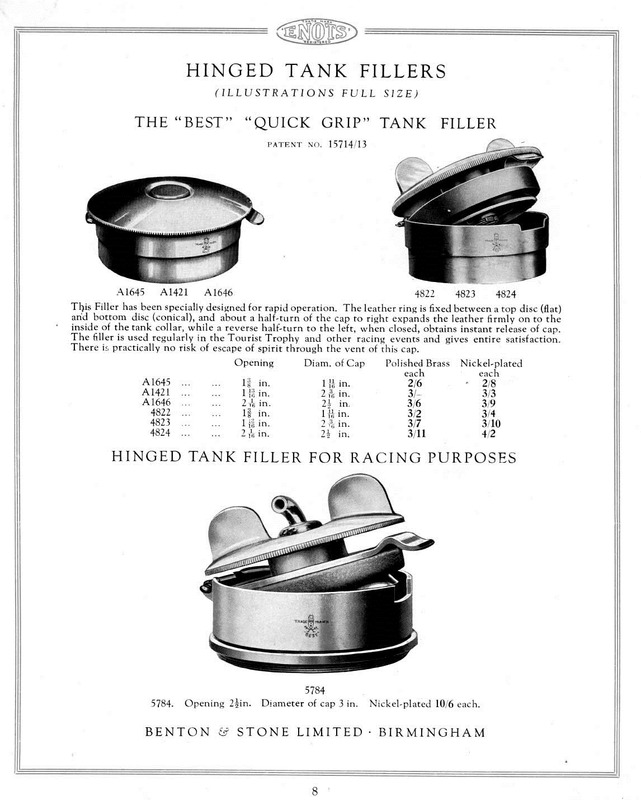 The catalog shows much more though, and includes details on how tanks were fabricated and enameled and how fuel filters were constructed, attached, etc. I’ve studied it for some hours over the past few years, maybe you’ll like it too. 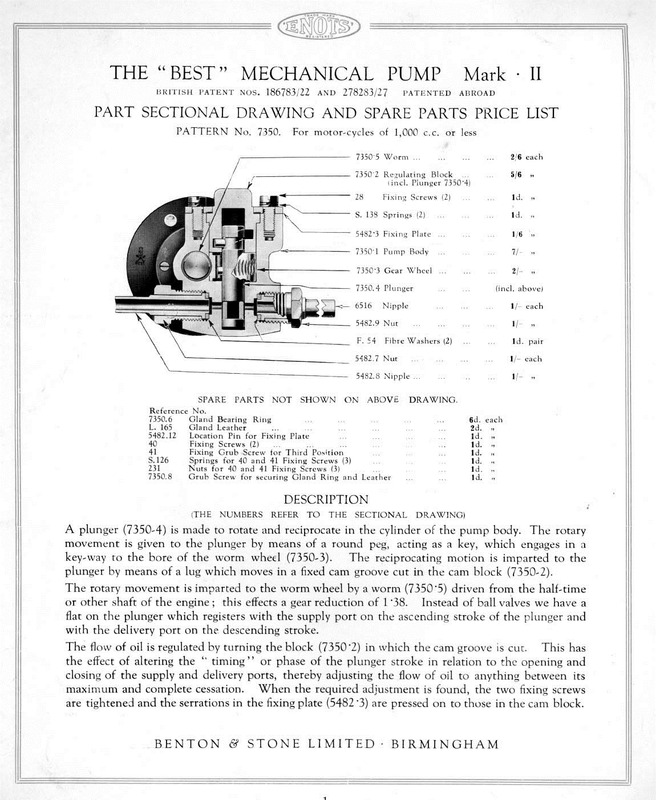 For fans of 1930’s bikes, Dennis Quinlan has recently scanned and posted the 1938 Enots catalog. 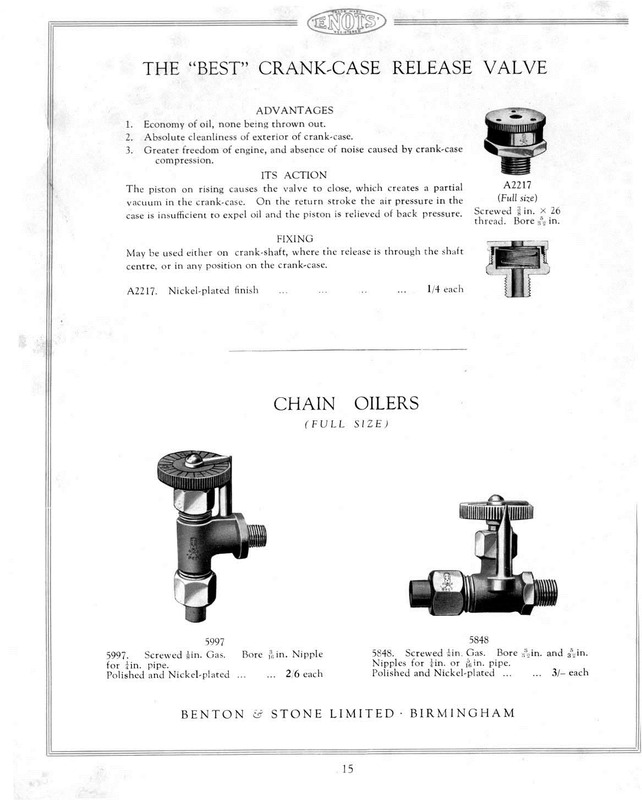 Turn ENOTS around and it spells STONE, of the firm Benton and Stone who produced the Enots pumps, taps and other bits. 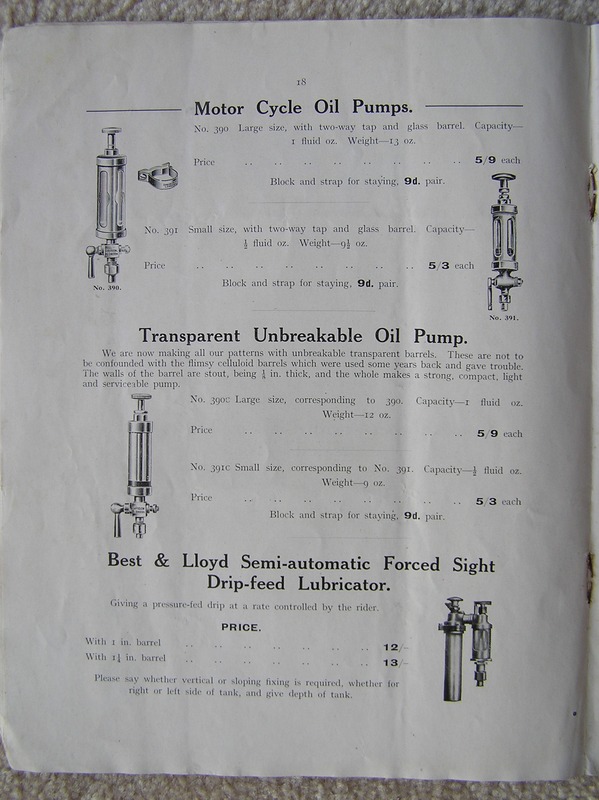 Of particular interest in this catalog are the ‘Best’ oil pumps/regulators. These were the very common Best & Lloyd types used in the 1920s and 30s. I suppose that B&S must have merged with or bought out B&L at some point? Maybe a reader knows the details. We should all thank Howard and Dennis for their work in buying, scanning and sharing these pages with us. It is a service that allows disconnected bike fans all over the world to do their hobby with better information and more accuracy than our fathers ever had. Here are a few more pages, but click into the links above for yourself to see 50 pages of good stuff.